Comfort or endurance road bikes are for the road rider who wants a slightly more upright, comfortable position for long rides. They often have lower gearing than performance road bikes making hills easy to conquer. Light, comfortable and efficient, they are a great choice for the recreational road rider. Performance road bikes have a little more stretched out, aggressive position than comfort road bikes. 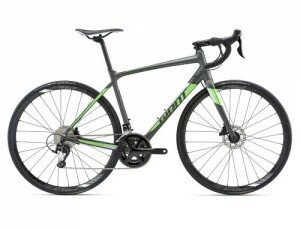 They are often a lighter and have more nimble handling than a comfort road bike. While they have a racing pedigree, a recreational rider who wants a bit more performance, racy look or wears the yellow jersey in their dreams will love one of these. Cyclocross started out as a way to extend the road riding season in colder temperatures. Cyclocross usually involves riding multiple laps of a short, mixed on/off-road loop against fellow racers and the clock. They look like road bikes but have some differences allowing them to be ridden on a variety of surfaces and can handle wet and mucky conditions. They have gained popularity with recreational riders as a multi-purpose road bike or as a winter or commuting steed.